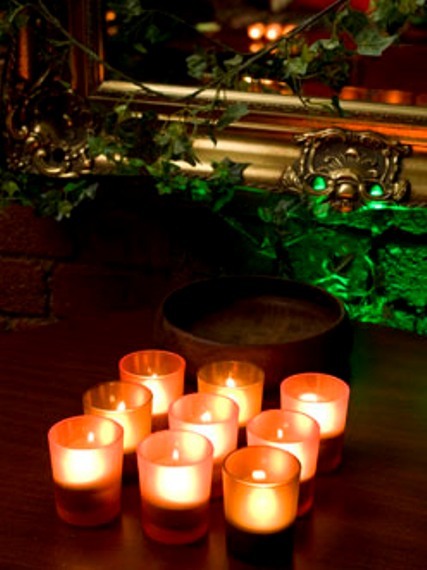 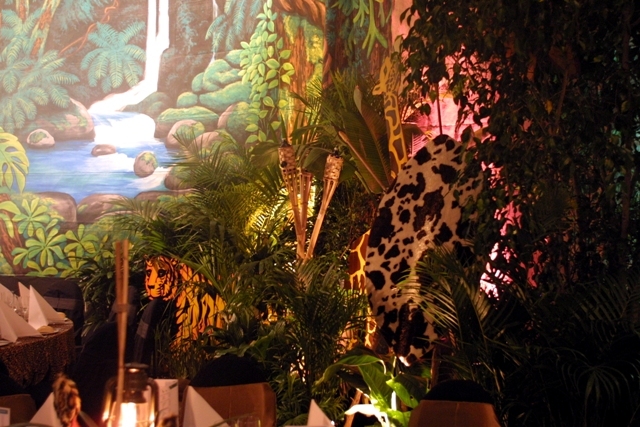 Treat your guests to an evening of abandonment deep in the jungle. 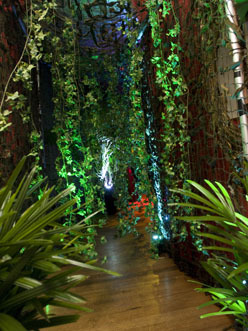 Life size elephant tusks, masses of palms, camouflage nets, vines and bamboo lanterns guide you through to the unknown adventure. 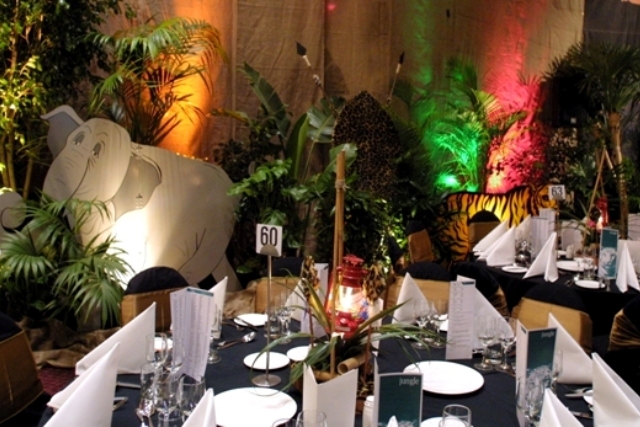 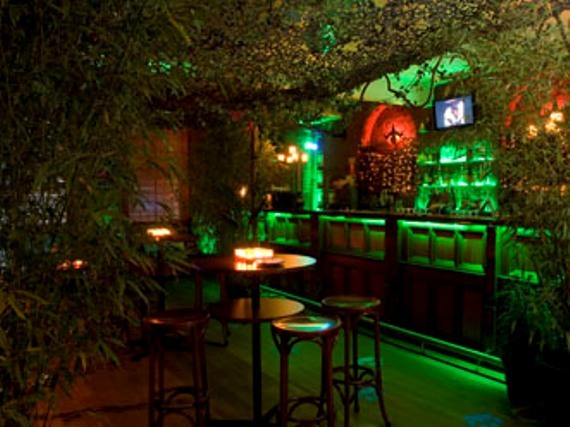 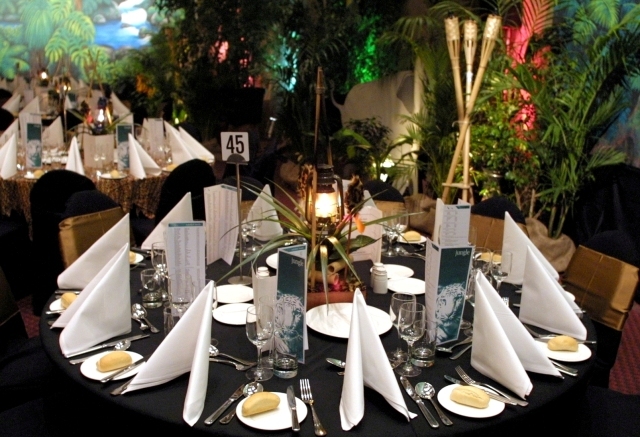 Drapes of hessian adorn the walls whilst set displays throughout give your guests the true taste of an African safari. 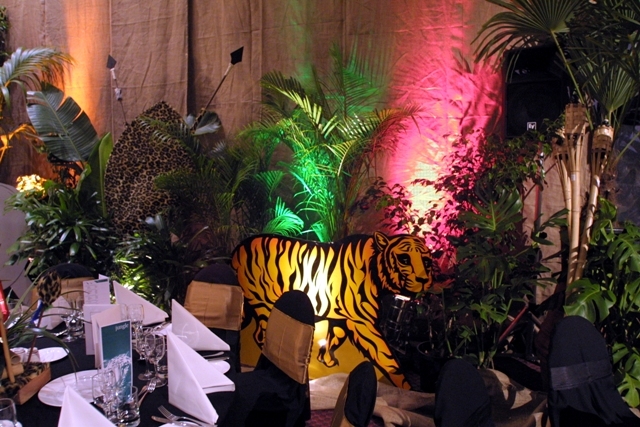 Life size elephant, tiger and zebra stand-ups found amongst potted palms come alive with wonder. 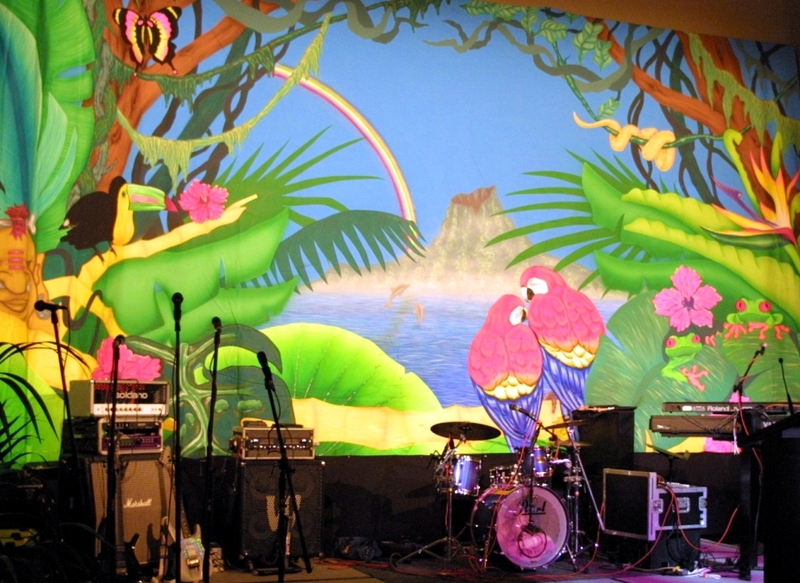 Whilst on stage vibrant coloured butterflies enhance an exotic sunset backdrop.